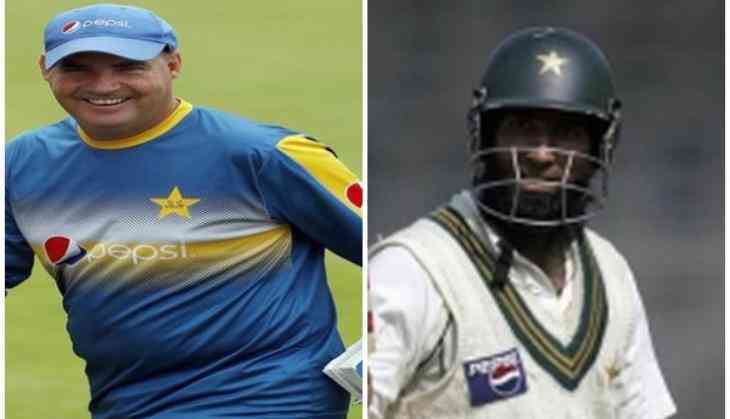 Former Pakistan batsman Mohammad Yousuf has called for current coach Mickey Arthur's sacking post the humiliating defeat against arch-rivals India in their Champions Trophy encounter on Sunday. The highly anticipated match at Edgbaston proved anti-climactic as Pakistan were thrashed by 124 runs (D/L method), extending their winless streak against India to three years. Yousuf said Arthur has not been able to make any positive influence on Pakistan players and thus, the time has come that the country should finally admit why the Men in Green slipped down to number eight in ICC one-day internationals rankings. The 42-year-old said that Pakistan's bowling order was not chosen correctly for the high octane match against India and was just ridiculous to declare Junaid Khan and Hasan Ali bowlers of the same style, as one is a left-arm bowler and the other is a right-arm pacer, and both share no similarities, reports DunyaNews. The former Test batsman further opined that it was just shameful and unacceptable for Pakistan to such a heavy defeat from India whom they have beaten on numerous occasions in the past.